Negotiating right-to-work-dodging contract extensions could cost Michigan universities millions in state funding. Michigan's new right-to-work law prohibits contracts that require employees pay dues or fees to unions as a condition of employment. However the law doesn’t go into effect until March 28. That means unions have a brief opportunity to try and dodge the law by getting employers to extend existing contracts or agree to clauses that extend the forced dues/fees collection for longer than the contract. Michigan’s 15 public universities are considered prime targets for these union efforts. But some state lawmakers are taking steps to head-off such contract extensions. A performance fund for rewarding fiscally responsible universities was announced last month by Rep. Al Pscholka, R-Stevensville, chair of the House Appropriations Subcommittee on Higher Education. The concept has long been used for tuition restraint but this year the approach is broader and, at $100 million, the incentive is greater. To qualify for performance fund dollars, a university would be measured against a set of performance metrics, which include, but are not limited to, tuition restraint. Rep. Pscholka said negotiating a right-to-work-dodging contract would eliminate a university’s chance of receiving dollars from the fund. "My criteria (to qualify for performance fund dollars) is fiduciary responsibility," Rep. Pscholka said. "That means no contracts negotiated between Dec. 10 and March 27, unless they represent at least 10 percent savings for the taxpayers." Sen. Tonya Schuitmaker, R-Lawton, chair of the Senate Appropriations Subcommittee on Higher Education, has been supportive of the performance fund metrics. What’s more, the administration of Gov. Rick Snyder reportedly has raised no objections to it. 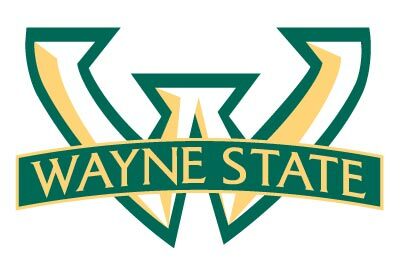 So far, Wayne State University is the only university in the state that has negotiated a union contract that dodges the right-to-work law. WSU announced a new eight-year agreement last week that would allow the University Professors-American Federation of Teachers, to keep getting dues through 2020. However, the WSU contract was not an extension and therefore would not be subject to Rep. Pscholka's plan. Nevertheless, Rep. Pscholka was quick to criticize the deal. "In my district there are people going to work every morning," Rep. Pscholka said. "They work hard and pay their taxes. They don't get eight-year contracts that guarantee a 20 percent pay hike. I don't see that as concessions that help families or students." Meanwhile, lawmakers and other officials are watching closely to see if any other universities are willing to take action at the risk of losing state dollars. WSU is one of the three universities in Michigan controlled by a board with a large Democratic majority. The other two are Michigan State University and the University of Michigan. Republicans play a much bigger role on the boards of the other 12 universities. Central Michigan University and Ferris State University officials have said publicly that they’re not interested in renegotiating contracts. "They're getting a significant amount of pressure from labor to make this into something political,” Rep. Pscholka said, in reference to the university boards. "I think it's all about thumbing their noses at the Legislature. But what they may not realize is that it also poking their thumbs in the eyes of the taxpayers." Rep. Pscholka said he doesn't think Wayne State should qualify for any money from the performance fund. "To me, they won't qualify," he said. "And the $100 million is just what we're saying will be in the fund at this point. We could add more to the fund." However, Sen. Schuitmaker said she is reserving judgment. "I'll wait to get more facts," she said. "I'm going to withhold judgment until I find out more. In the Wayne State case, they had been negotiating since July. It's not like they opened the contract after we passed right-to-work. It would be different if it was an extension, but that wasn’t the case. “My understanding is that the union did make some concessions, including some merit pay," Sen. Schuitmaker continued. "But I want to wait and see the details."